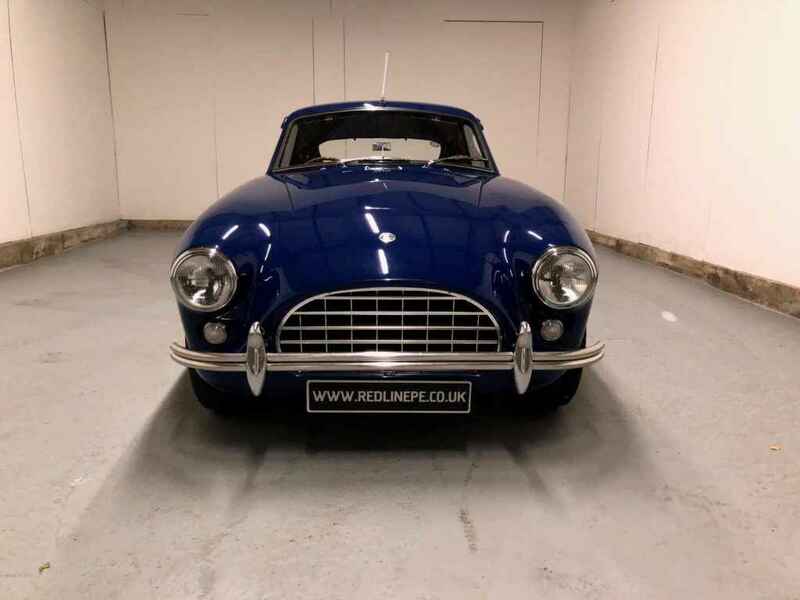 AC Aceca offered for sale by Redline Engineering UK Classic car Specialists. 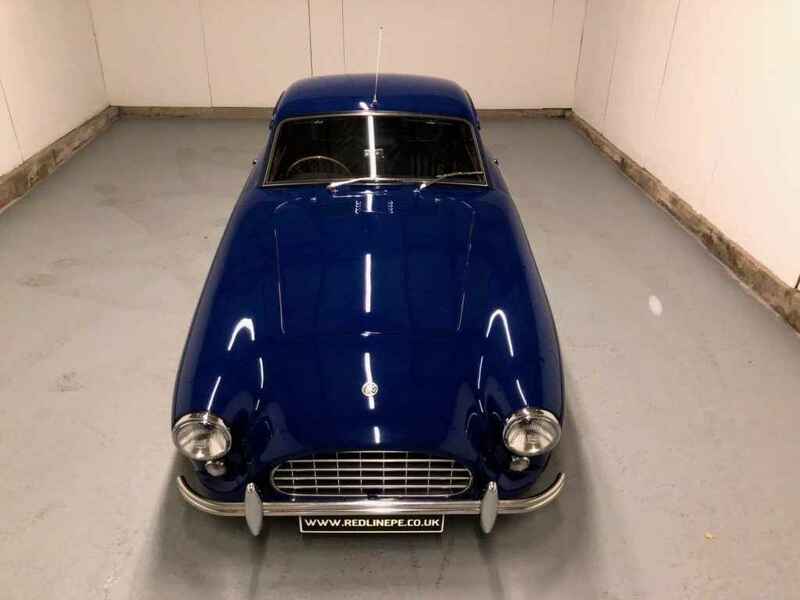 The success of Cliff Davis’ Tojeiro sports-racer prompted AC Cars to put the design into production in 1954 as the Ace. 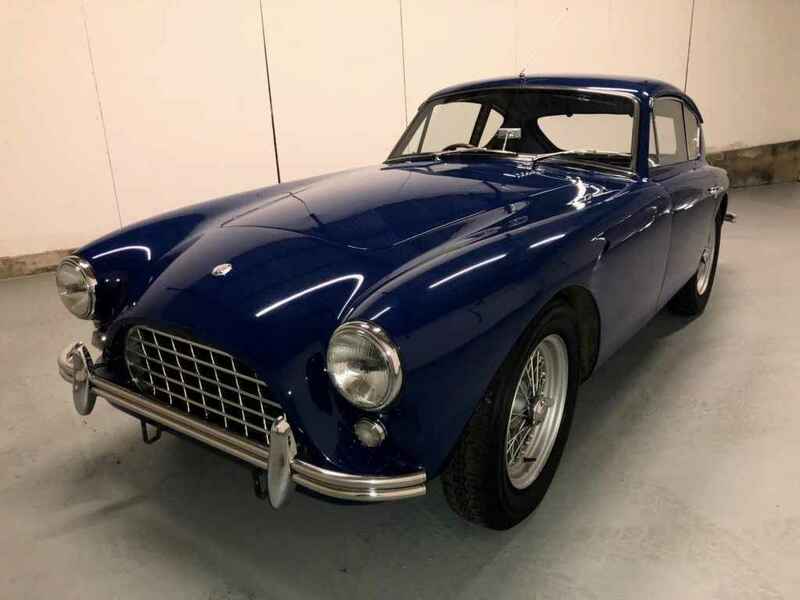 The Davis car’s pretty Ferrari 166-inspired barchetta bodywork was retained, as was John Tojeiro’s twin-tube ladder frame chassis and Cooper-influenced all-independent suspension, while the power unit was AC’s own venerable, 2.0-litre, long-stroke six. 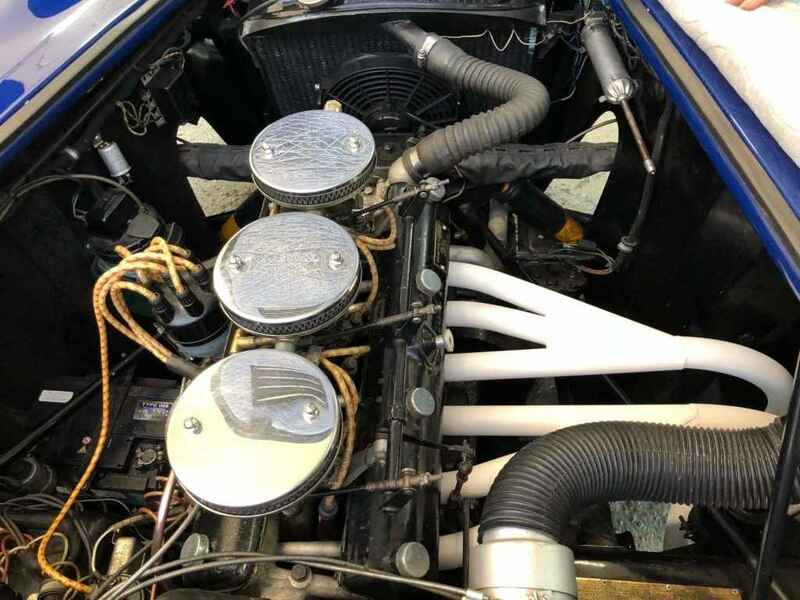 This overhead-camshaft engine originated in 1919 and with a modest 80bhp (later 100bhp) on tap, endowed the Ace with respectable, if not outstanding, performance. 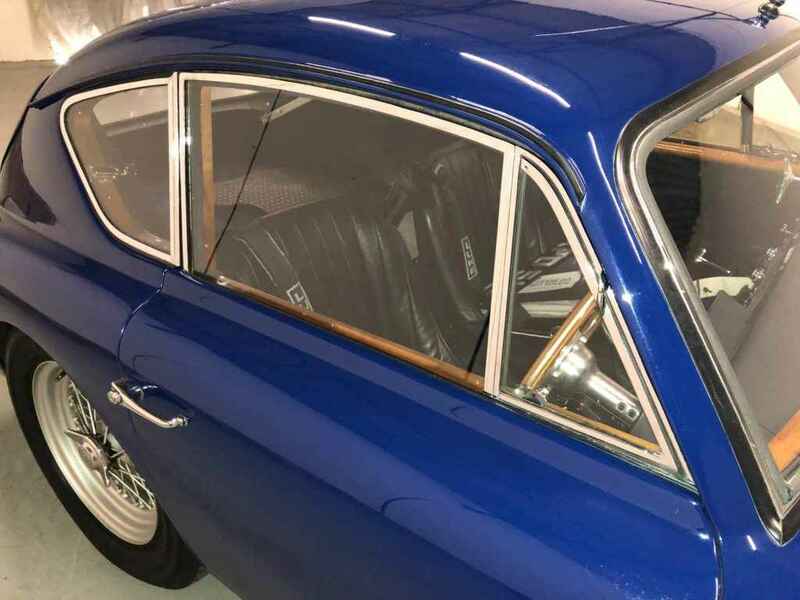 A hardtop version – the fastback-styled Aceca coupé – debuted at the Earls Court Motor Show in 1954. 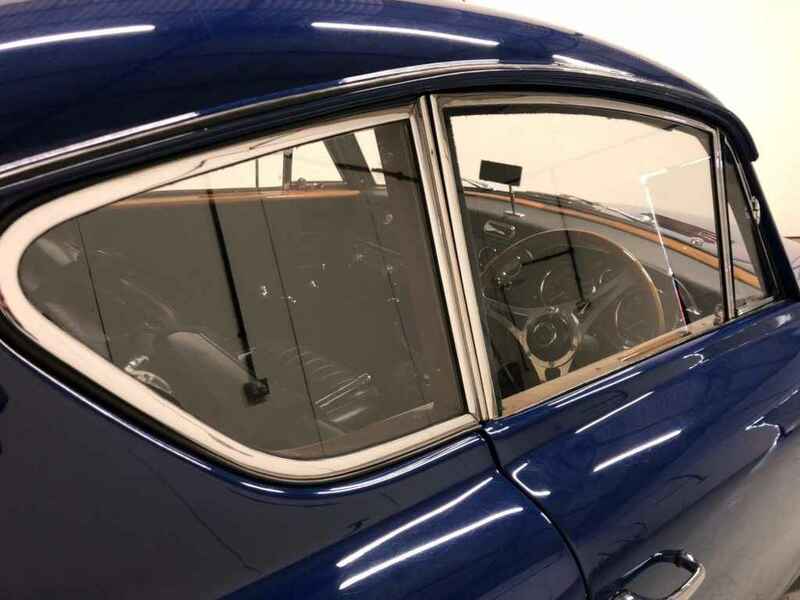 The Aceca’s hatchback body was constructed in hand-formed aluminium over a tubular steel framework, while the tubular chassis was more substantially built than the Ace’s. 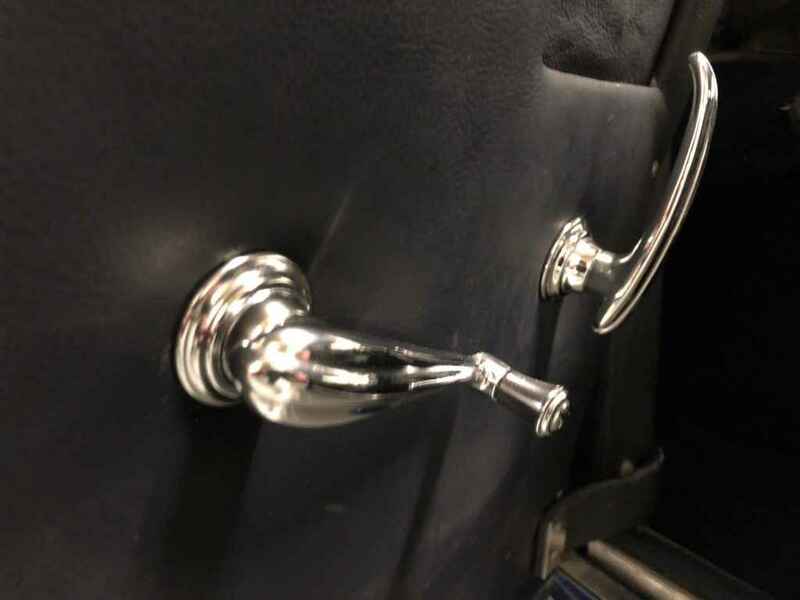 To reduce noise levels within the cabin, AC mounted all major components on rubber bushes. The result was a well-engineered, light in weight and extremely pretty GT car in the best AC tradition. 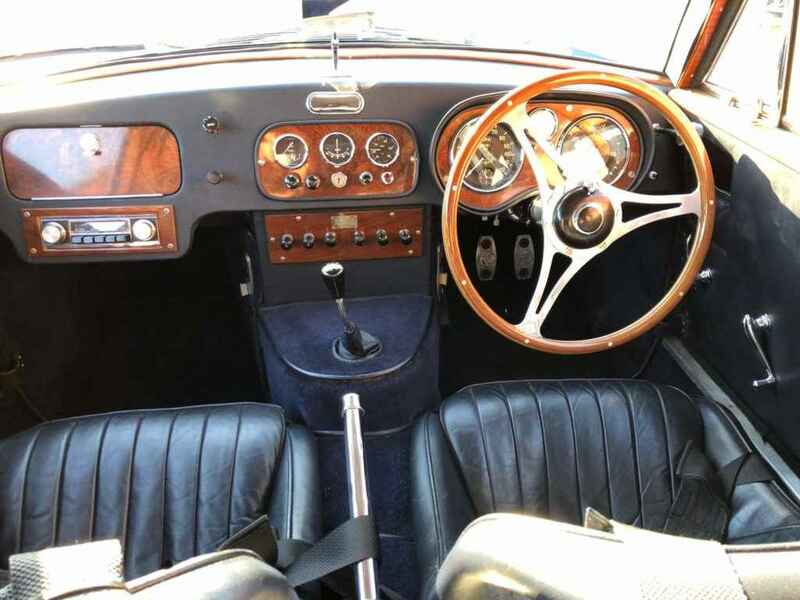 Very few alterations were made to the Ace and Aceca apart from a change of engine for 1956 when the more powerful (up to 130bhp) 2.0-litre Bristol six-cylinder engine became available, while towards the end of production the 2.6-litre Ford Zephyr engine was on offer also. 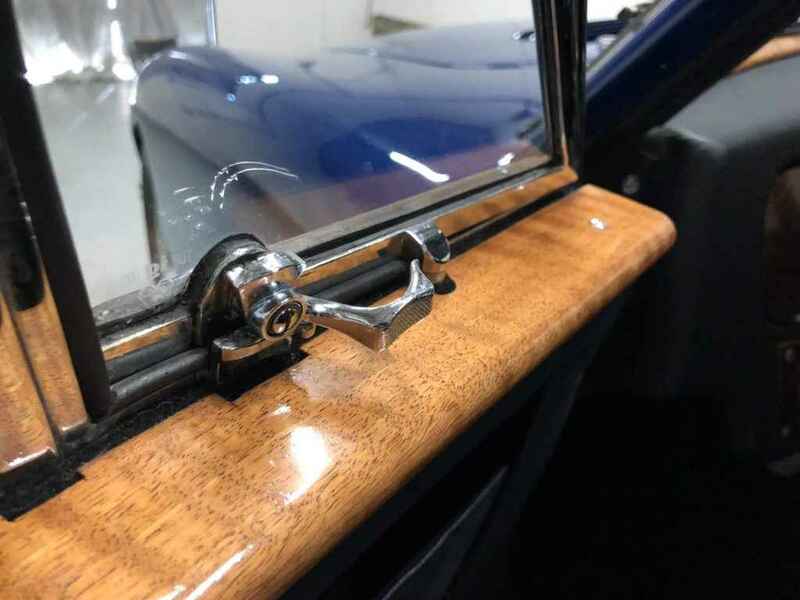 The Bristol six was based on that of the pre-war BMW 328, which featured an ingenious cylinder head, designed by Rudolf Schleicher, incorporating hemispherical combustion chambers and inclined valves without recourse to overhead, or twin, camshafts. 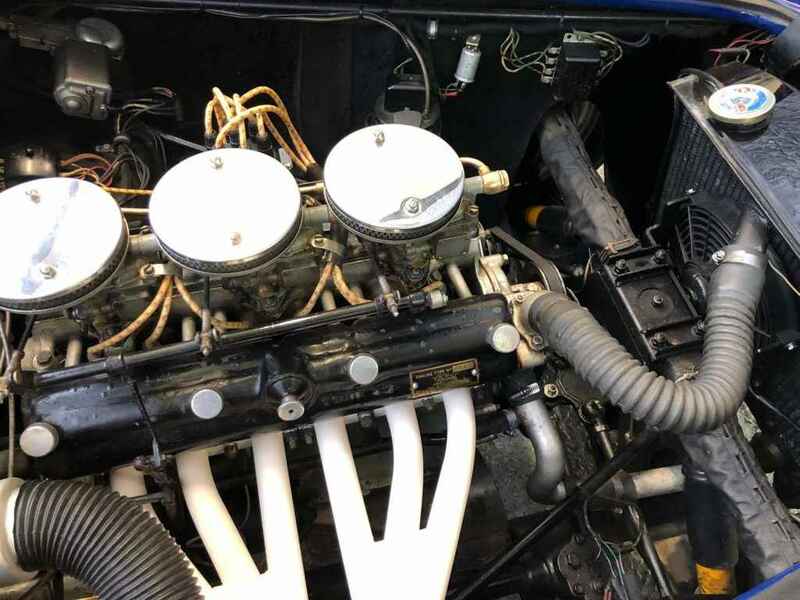 Instead, the earlier BMW Type 319 engine’s single block-mounted camshaft and pushrod valve actuation were retained, thus avoiding an expensive redesign. Two rocker shafts were employed, one situated above each bank of valves, giving the engine an external appearance almost indistinguishable from that of a twin-overhead-cam design. 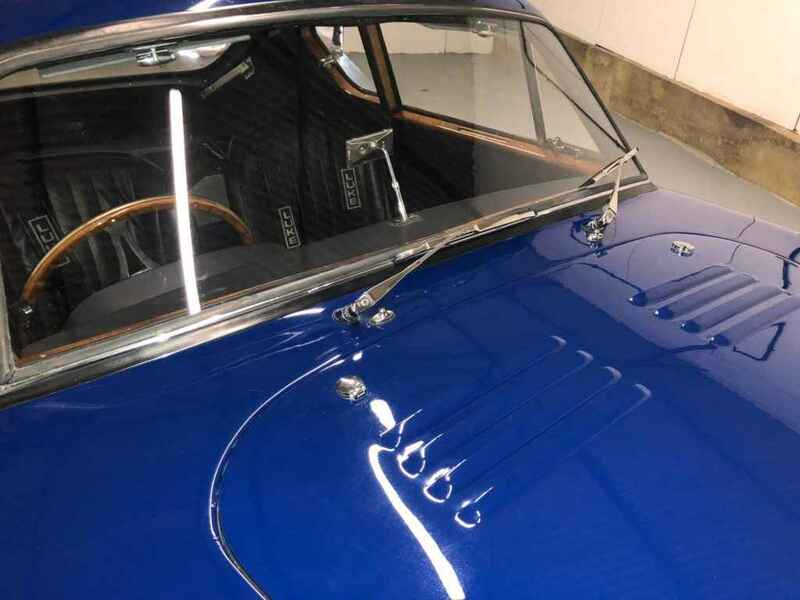 Downdraft inlet ports contributed to the motor’s deep breathing, and its tune-ability made it a popular choice for British racing car constructors, most notably Cooper, during the 1950s. 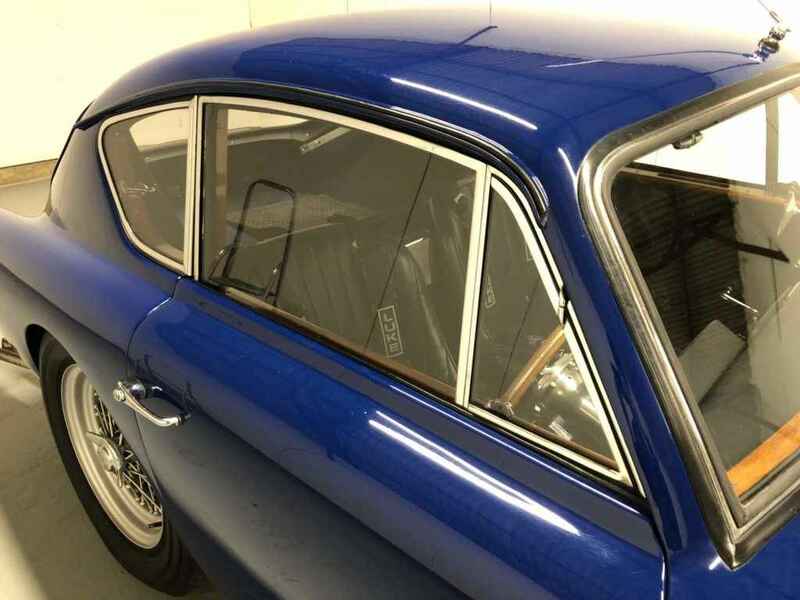 Externally, Bristol’s clone of the BMW motor differed little from the German original, the most obvious difference being the adoption of SU, rather than Solex, carburettors part way through production. 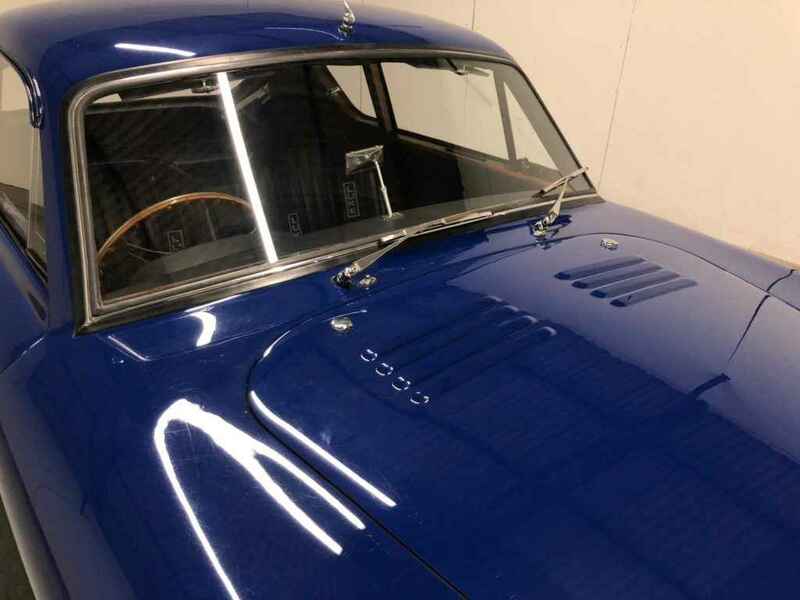 The most significant changes made by the Bristol designers were metallurgical, their utilisation of the highest quality materials contributing to greatly increased engine life. 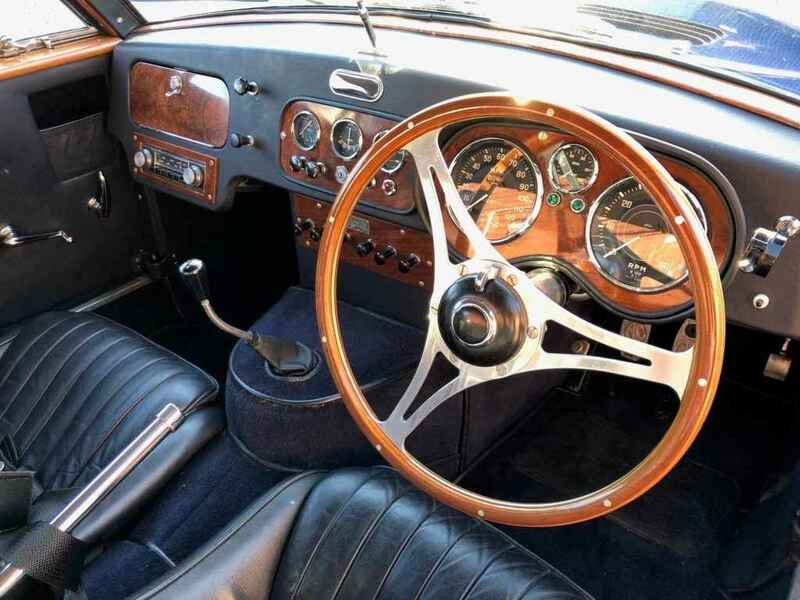 The combination of a fine-handling chassis and a decent power-to-weight ratio – in Bristol-engined form the car could touch 120mph – helped the Ace to numerous successes in production sports car racing, arguably its finest achievement being a 1st-in-class and 7th overall finish at Le Mans in 1959. 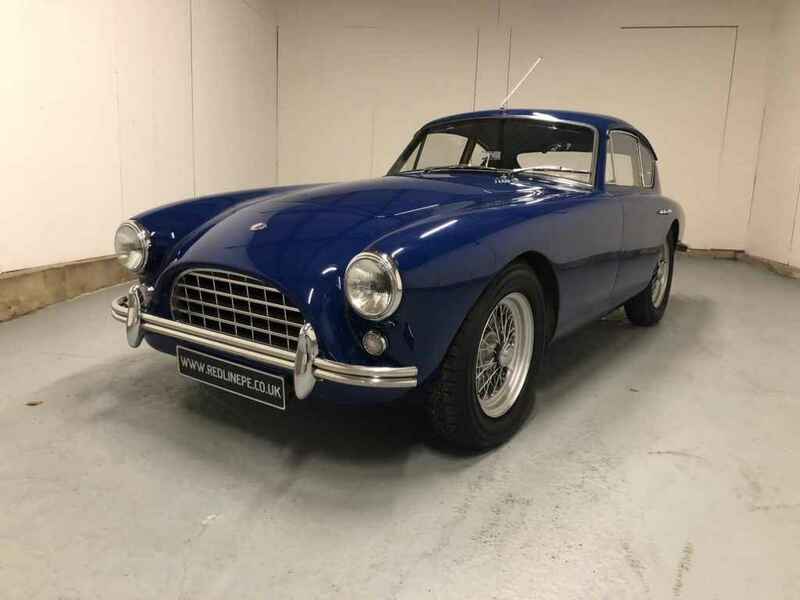 Redline Engineering UK Ltd is delighted to offer for sale this beautifully restored1955 Bristol engine AC Aceca. 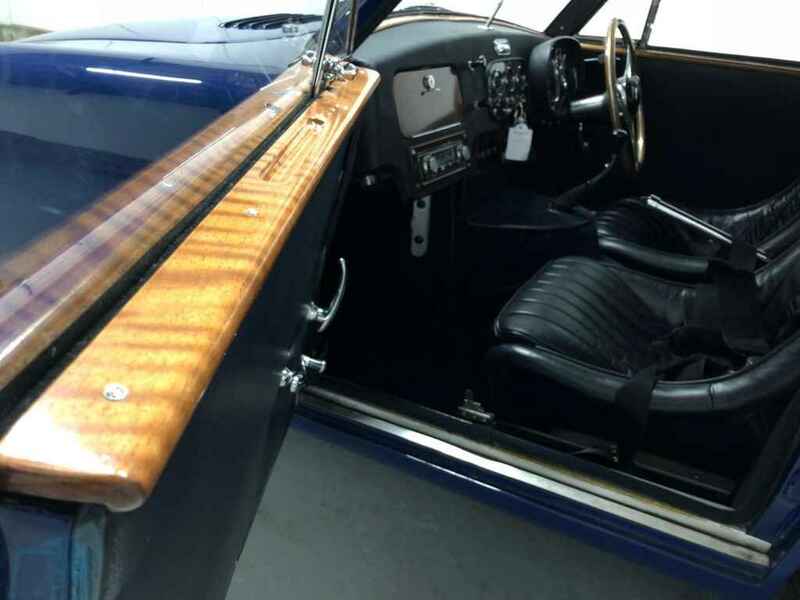 Finished in “Blue Metallic” with Black leather interior, fitted with original Smiths instruments, lacquered wood trim, 4 point racing harness. 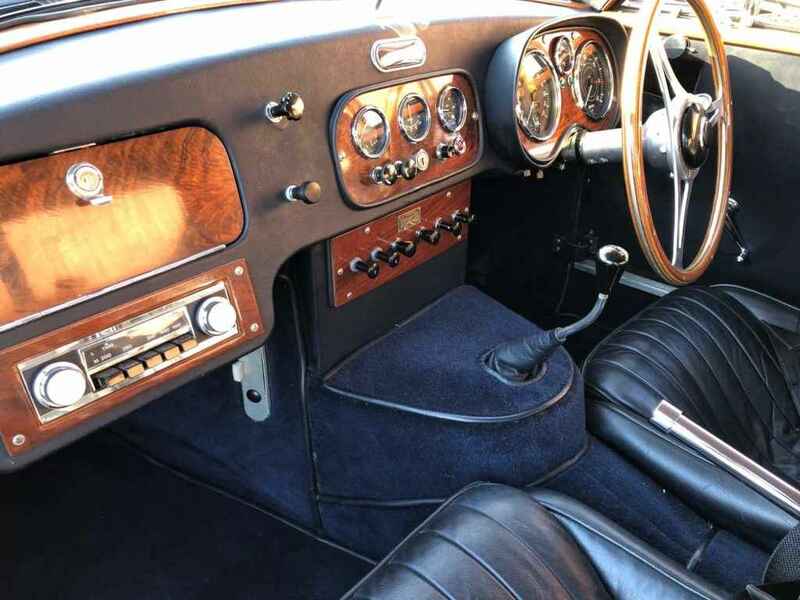 First registered 23rd May 1955 and originally fitted with 2.0 ltr AC straight 6 engine however this was changed for a more powerful engine – Buick V8 Engine! With Quoted with a hand written note in old style Registration Book “engine was changed 31 March 1967 Darlington”. 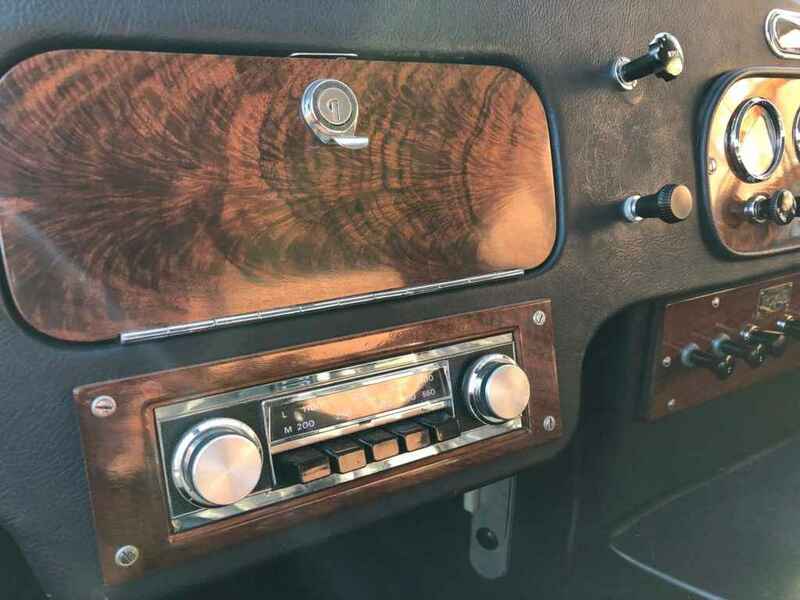 The AC has excellent provenance – registration book & original handbook including invoices, MOT’S, small details include mounted grease gun. 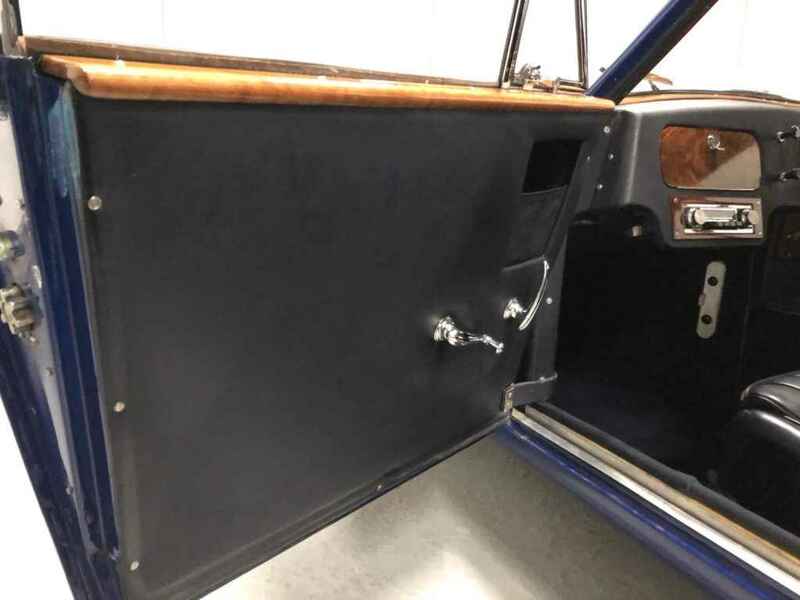 Without question the car is in excellent condition, I understand the AC was commissioned with A body off restoration by David Royle with no expense spared – full nut and bolt restoration. Supporting photographs at various stages of strip down – bodyshop showing new panels being made to correctly fit as well as new Ash frame doors which is vital when undertaking a project this size, – paint work in pre and post finish, at this point of restoration a Bristol 100B engine was mated replacing Buick V8, manual gearbox with overdrive. Differential completely rebuilt backed up with photos in various stages of strip clean and assemble stages. 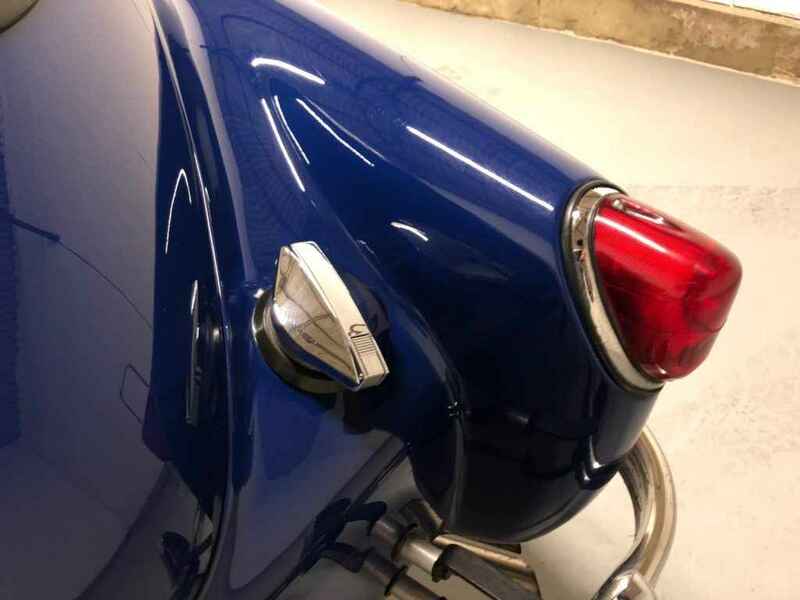 Credit to David Royle and his team as all the important areas have not only been captured and record to preserve the history of this AC but to cover every aspect of restoration to highest standard, history file also supports assembly photo’s and detailed invoice and timesheets all from David Royle. A wonderful in depth history file with numerous invoices and old bills, old MOT’s old style log book, handbook, a delightful letter from AC Cars Ltd confirming AE505 was Built and delivered new 23/05/1955 to dealer F W Baines Leeds Ltd with the first owner being Mr Alan Stross Westcombe Avenue Leeds. Restoration by David Royle with supporting invoices and photographs – full report detailing with specific dates outlining work being carried out, in total restoration started 16th June 1995 and completing with a last entry 6th July 1997, “ Week ending 6th July 1997 – check noise on gear stick and handbrake, repair. Road wheel catching inner front panel. Alter panels to clear wheel, alter stroke on wiper arms, change oil and filter, check over engine and set up brakes. 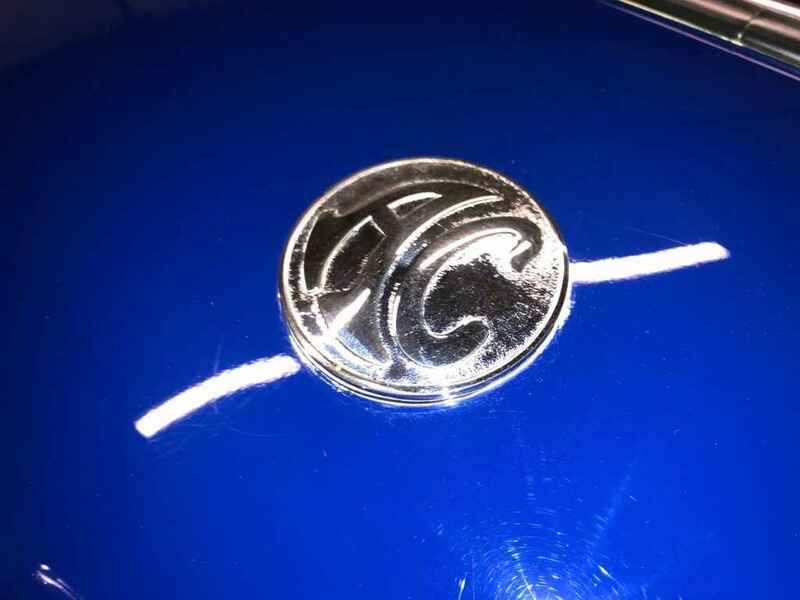 Polishing and cleaning prior to AC Owners Club Meeting on 5th June. Individual invoices from Nev Wright Automobile Specialist. 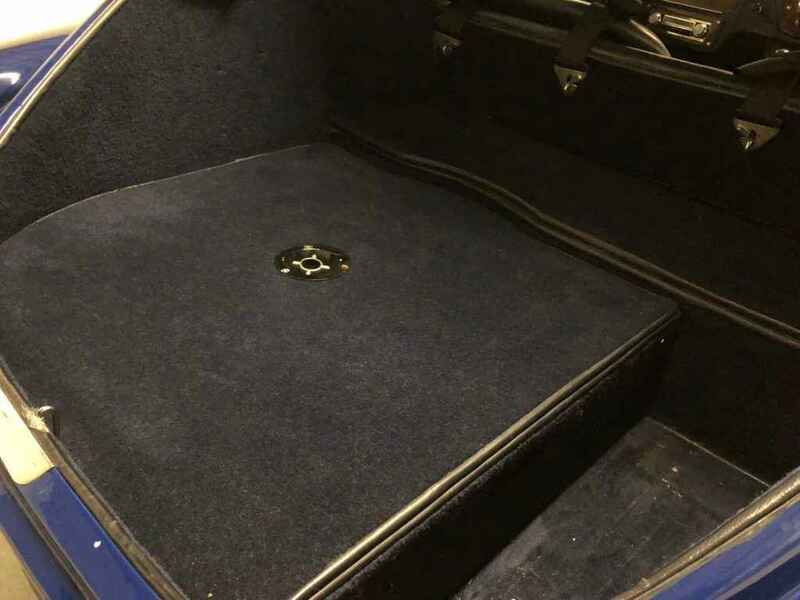 We are delighted to confirm Aceca is in excellent mechanical condition and presented in exceptionally good condition. 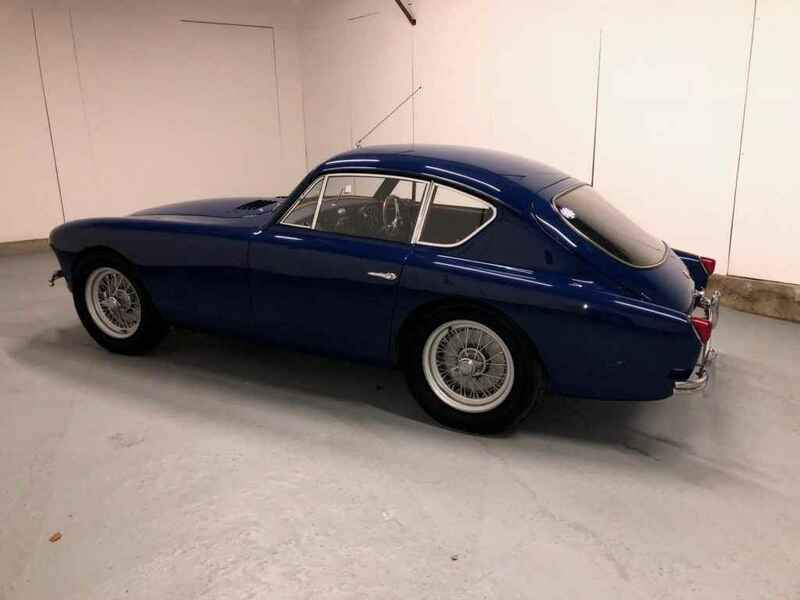 This really is elegant and delightful car to drive, a real head turner for any enthusiast or collector.